Happy Labor Day everyone. We’re excited for a much needed long weekend and spending time with friends and family. If you’re going to be grilling out this weekend, don’t forget the side dishes to go along with your burgers and brats. Cantaloupe Salad: This is a wonderful twist on a traditional summer fruit salad. Free Food Fridays: Win Free Indian Food from Tandoor Chef— 2-Week Contest! Happy Friday, foodie readers! Keep reading to learn how you can win in our latest contest: 4 food vouchers from Tandoor Chef, a 2-week long contest! Tandoor Chef provides nutrient-rich Indian food in such varieties such as the new Palak Paneer with Dal Makhani & Turmeric-Infused Basmati Rice. We love that their food is as tasty as it is good for you. 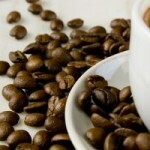 Query: Finding Vietnamese Coffee in Dublin? 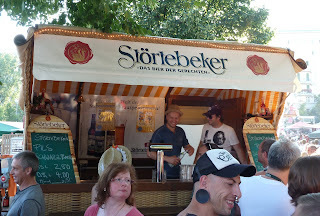 Even though there was plenty of representation from the big international German beer brands at the Berlin Beer Festival, one of the headline sponsors was Störtebeker, a regional brand from Straslund on the Baltic coast due north of the capital. Having never heard of them I made a point of visiting their stand where two very jolly barmen were dishing out a pils and a schwarz. Please forgive me for leaving you dangling with a dozen Gooseberry Jam Doughnuts for far too long. I was hoping praying the jammy delights might be special enough to linger on while we ventured off-farm for a spell, so thanks for hanging in there. Master in my own kitchen? – It’s risotto again. The fifth and final installment of our Bordeaux insight, we enter ‘Entre-Deux-Mers’, or to us, ‘between the rivers’. We’ll also have a glance at the terrific sweet white wines of bordeaux. To view the previous four posts in this series, click here and scroll down to view. Hot on the heels of our Italian night in Cork on Friday, we’ve a treat for the good people of Kinsale.